Current or former mortgage holders in Spain can claim for reimbursement due to overpayments via the floor clause. Additionally arrangement fees can also be claimed, however sentences by Spain’s Supreme Court in 2018 and 2019 go against consumer interests. Take a look at what you can do and what to avoid. If you do need a lawyer, there are lots of “no win, no fee” services from English-speaking lawyers. But if your claim is small they may not be interested. Most lawyers are asking for between 10% to 20% of the amount you’re awarded. If you’re due to get 1000€ then for 100€ to 200€ many companies won’t take on your case. Search for all your original paperwork. Banks used to give you copies, but now they avoid this fearing a new claim. Lawyers will require you to sign a Power of Attorney (POA). With any POA double check the terms. Remember that if it goes to court YOU ARE NOT GUARANTEED TO WIN YOUR CASE. Don’t make plans on how to spend your money before you receive it! After the EU’s ruling that the floor clause was abusive the Spanish Government set up a process to ensure that claims are dealt with swiftly. Banks that simply removed the floor clause without taking any further action have also been sentenced to reimburse their clients. First of all contact your bank and ask for the template form created for floor clause claims. Some banks may have an online version. State that you that you were correctly informed at the time of taking out the mortgage and, therefore, are not due for any reimbursement. Accept liability and detail their calculation of how much you overpaid and include interest on the amount. You then have 15 days to decide whether to accept their offer or not. You can calculate an approximate overpayment amount with one of the many online floor clause calculators. Opening a high-interest mid/long term deposit. If you decide to accept any of these options, this must be reflected in a separate document. If you don’t accept the figure offered by the bank then your only option is to go to court. What if my Bank was Taken Over By Another Bank? Barclays mortgages are with La Caixa; Caja del Mediterraneo became part of Banco Sabadell; Banco Popular bought Banco Pastor and so on. There have been numerous bank mergers and acquisitions over the past 20 years in Spain, however the bank that took on your mortgage must deal with your claim. Who Can Take My Claim To Court? Unless you’re claiming less than 2000€ and, even then, really know what you’re doing, you’ll have to use the services of a lawyer. Once again remember that YOU ARE NOT GUARANTEED TO WIN. Regardless of the EU stating that the floor clause is abusive, if it goes to court the bank will try to prove that you knew what you were signing. Watch out for “ambulance chaser” companies who may take a large chunk of your money for dealing with your case. Some lawyers have included in their contracts that any reimbursement under a threshold will not be returned to the claimant. One specific case showed a figure of 1800€ in the contract – in other words unless the claimant was awarded a figure above 1800€ they wouldn’t see a cent. It makes sense to use a specialist company, most of which will require an initial payment (anything between 100€ to 400€). Lawyers that have already dealt with hundreds of cases have all the paperwork ready and are used to the questions that could be raised in different courts across Spain. You may want to take a look at Spanish Consumer Organisations OCU or Facua claim service. Both organisations require you to become a member, although you can cancel once your claim is finalised and, hopefully, received your money. Compare with Arriaga Asociados (specialist bank claims lawyers) and local companies, always making sure you get full details in writing of how much it will cost before going ahead. Both consumer organisations and most lawyers will take a percentage of the amount awarded. Calculate all the associated expenses to see how much it will actually cost. Some companies deduct the initial payment from the amount awarded, some request extra amounts if the lawyers have to represent you in another town or city and some require that you pay separately for a POA. Who Pays The Court Costs? If you are awarded a figure higher than that offered by your bank, then the bank pays the costs. If you are awarded less, then you’ll pay the costs. For those who go straight to court without claiming with their bank first and the bank decides to settle, then you may be liable for all or half the costs. If you’re a taxpayer in Spain, regardless of whether your bank reimburses you directly or you win your case in court, the amount is not taxable. However if as a taxpayer you included your mortgage repayments in your annual tax returns you must correct the last 5 years’ tax returns. 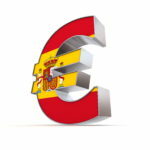 The Spanish Tax Office will not apply any fines. Spain’s Supreme Court has sentenced that banks ARE NOT liable for taxes paid when taking out a mortgage (tax known as AJD in Spanish). Additionally the Court has sentenced that other charges should be paid 50/50 (bank and client). Both sentences mean that consumers will only be able to receive around 10% of the total cost of arrangement fees paid and many companies will no longer take on clients on a “no win, no fee” basis. When buying a property in Spain there are two sets of charges: one for the purchase/sale (“compraventa”) and another for the mortgage arrangement (gastos de hipoteca). The latter are the only charges that can be reclaimed. First of all you can fill in this template to send to your bank’s Customer Service Department. The bank has two months to answer and if the answer is not what you expect, or no answer is received, then the next step would be to take the case to court. As above, take a look at OCU, Facua and Arriaga Asociados, along with other lawyers and compare full costs for their services. It depends on the region, but expect to wait from 12 to 24 months. Due to the outcry regarding the Supreme Court sentences, the Spanish Government changed the law from 10 Nov 2018. In the new law the bank is responsible for paying the AJD tax. For too long local authorities across Spain have been getting richer by applying a percentage on the rateable value on the sale of all homes, regardless of whether the home was sold at a loss. A sentence by the Constitutional Court has stated that this practice is not constitutional. Taxpayers should be charged on the market value and not on the rateable value, fixed by local authorities. During the recession in Spain market values for homes and land have plummeted whilst rateable values have been maintained or even increased. 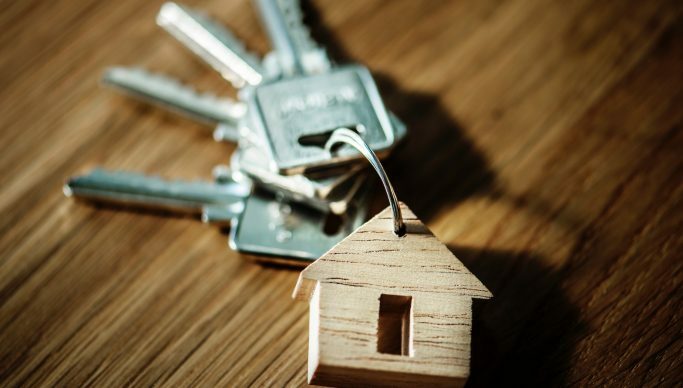 The Supreme Court decided in 2019 that homeowners are responsible for proving that they have sold their home at a loss. Note: Money Saver Spain does not have any connection with OCU, Facua or Arriaga Asociados. If you decide to make a claim regarding your mortgage, Money Saver Spain does not accept any responsibility for the outcome.